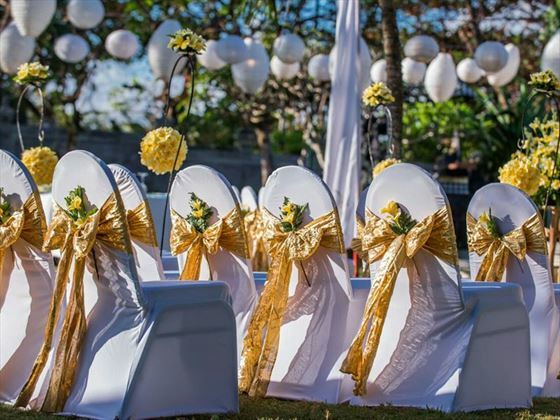 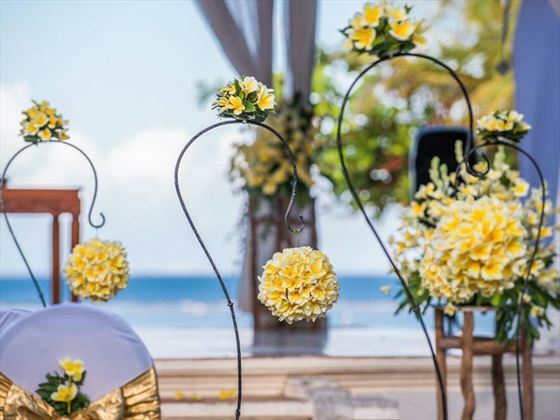 Let us captivate your unforgettable wedding celebration with our pristine beach, tropical gardens or an authentic Balinese amphitheatre at Nusa Dua Beach Hotel & Spa. 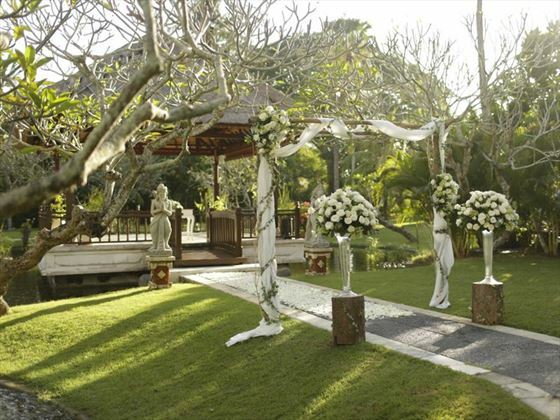 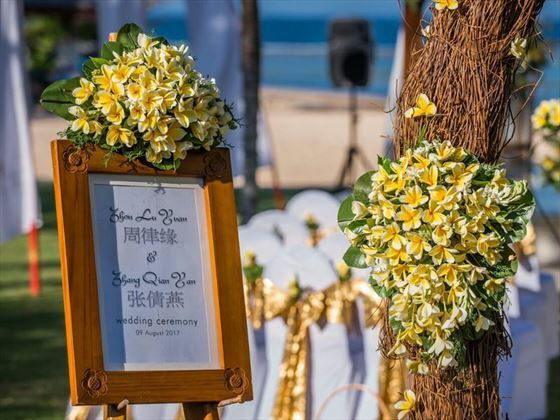 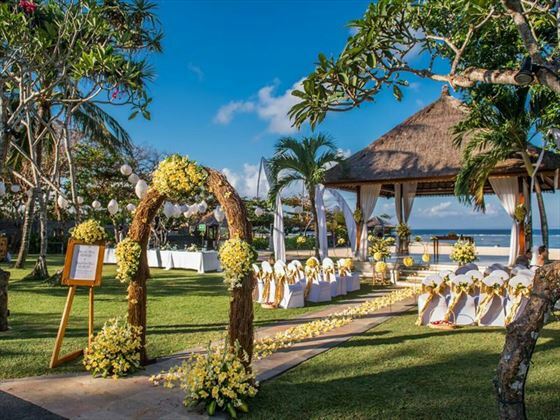 Nusa Dua Beach Hotel & Spa is seen by many guests as a dream setting for a Bali wedding. 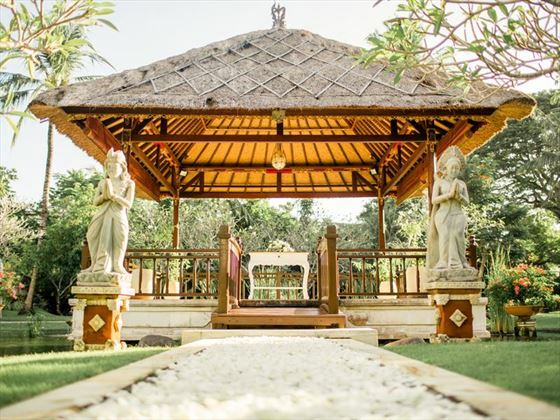 Not only because of the romantic beach atmosphere of the hotel grounds and tropical gardens, but also because of the many wedding themes and options to choose, from the Wedding Bale (pavilion located on the beachfront ideal for a beach wedding), the Agung Bale (pavilion nestled on the temple garden lotus pond), the Keraton Ballroom to the Kertagosa Ballroom (indoor, air-conditioned venues).